Entrega de Livros – Março 2017. Thank you for your continuous support. 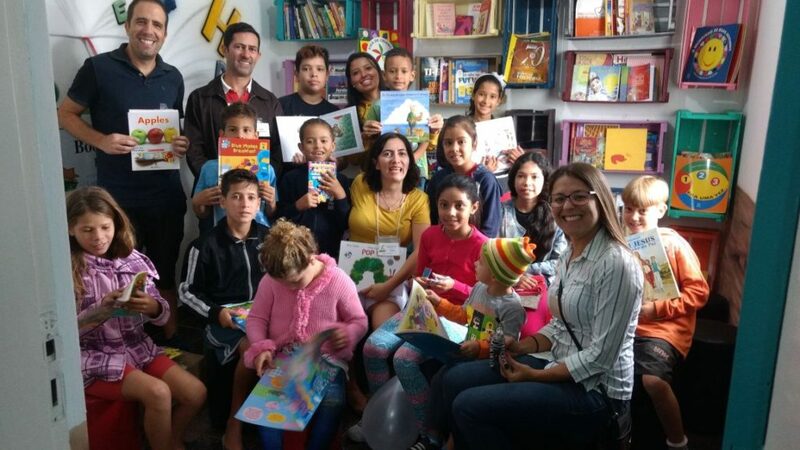 With your help, we have been able to bring thousands of books to children in Brazil. Our organization is 100% run by volunteers who want to make a difference, just like you. If you use Facebook, help us spread the word! A Facebook Cause was setup to benefit our organization and you can use it to tell all of your friends about us. Whenever you shop at Amazon.com, begin your shopping experience by using http://smile.amazon.com. It is the same as going to their website directly with one important difference, it helps us bring books to children in Brazil. If you search with Yahoo, try using Goodsearch. The results are the same, and if you select our organization, a small contribution will be given every time you search. These are all small contributions, but when taken together little by little, they can make a big difference.